Are Closing Costs Included In a Mortgage? There seems to be a great deal of confusion when it comes to closing costs and mortgages, so let’s clear the air and make sense of it all. Put simply, mortgages come with closing costs, similar to how most products and services come with associated fees. No one works for free. The interest alone isn’t enough for lenders to originate mortgages, and a lot of hands are involved, so every party must get paid. There’s no way around that, but how you pay is certainly up to you. Closing costs include things like the loan origination fee, mortgage points, credit report fee, inspection fee, appraisal fee, loan processing fee, application fee, title insurance and escrow fees, and so on. So it’s clear that there are a lot of fees, and based on the number of said fees, the price tag can certainly add up pretty quickly. This is why it doesn’t make sense to serially refinance your mortgage, just like it doesn’t make sense to buy and sell a home over and over and pay commissions. The costs can be quite substantial, and it takes time to recoup those costs via a lower interest rate, assuming you execute a rate and term refinance. Ultimately, somebody has to pay these fees, and unfortunately that someone is you. While the fees may vary from lender to lender, or from state to state, the way you pay them is another story. It could be via a slightly higher negotiated sales price, a larger loan amount, a less attractive mortgage rate, or simply out-of-pocket in cash. Often, borrowers don’t have the necessary funds to pay these costs, which explains why some borrowers choose to include closing costs in the mortgage, that is, pile them on top of the loan balance so they don’t have any out-of-pocket expenses. Of course, you’ll wind up with a higher monthly mortgage payment and pay more interest if you roll the closing costs into the mortgage, as the loan amount will be larger, and the costs will be financed throughout the loan term. For the record, this isn’t always an option depending on the type of loan and down payment/loan-to-value ratio. An alternative is to have the bank or mortgage broker actually pay your closing costs and not include them in the loan balance, though you’ll be stuck with a higher mortgage rate to offset those costs. This is accomplished via a lender credit. If a borrower chooses or is encouraged to do this, it’s considered a no cost loan, though perhaps no out-of-pocket cost loan would be more accurate. There is a cost via a higher mortgage rate, which equates to a higher monthly mortgage payment. But it can still make a lot of sense. Anyway, you can decide if you want to pay the closing costs upfront, take a higher interest rate, or roll them into the loan and pay them down over time (the seller may also agree to pay some of the closing costs if it’s a home purchase). Generally, if you think you’ll hold onto the mortgage for a long duration, paying the closing costs upfront may be wiser than financing them. If you do so, less interest will be paid because you’ll either have a smaller loan amount or you’ll have a lower interest rate for a long period of time. Assuming you only hold the loan for a year or two, it could make sense to let the lender cover the fees and take the higher rate because you won’t be subject to the higher monthly payment for very long. Just try to figure out what your loan timeline might look like beforehand to make the right choice. However, if you feel the money could be invested elsewhere at a better return than the interest rate on your mortgage, it may make sense to include the closing costs in the loan. 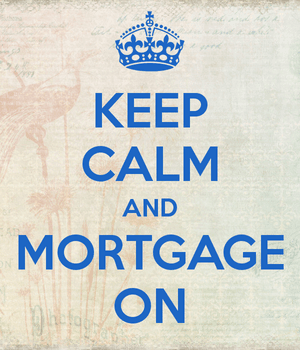 The same is true for those who receive a credit for closing costs in exchange for a higher interest rate. Conversely, if you’ve got the money to pay for closing costs, and feel you won’t do any better putting the money elsewhere, it may be wise to pay the closing costs yourself and keep your loan balance and/or interest rate as low as possible. Of course, some borrowers may have no choice but to roll the closing costs into the loan, assuming they’re just scrapping by in the assets department (not sensible). Keep in mind that a salesperson may encourage you to roll the fees into the loan balance to make the deal seem sweeter; but in reality, you’re just paying those fees over time at a higher cost. This was quite popular when home prices were appreciating like no other, as the costs were easily eclipsed by home equity gains, but now that depreciation is more common, this practice is becoming less widespread. Remember that when including closing costs in the mortgage, the loan-to-value ratio will increase, as will the loan amount. This can trigger both a higher interest rate and a larger loan amount you may not be qualified for (or one that exceeds the conforming limit), so tread carefully. Your mortgage broker or loan officer should be on top of this though, so don’t fret too much, just take the time to explore all of your options. 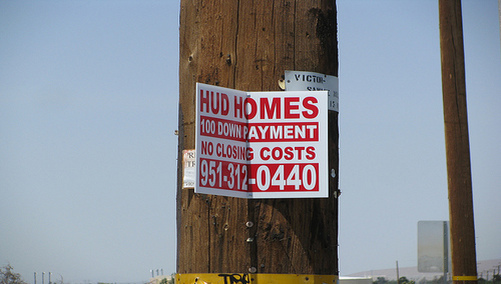 Read more: How to reduce closing costs.